According to the Spanish newspaper El Mundo Deportivo José Mourinho wants to recruit Zlatan Ibrahimovic to Chelsea. After league titles in Holland, Italy, Spain and France and top scorer titles in Italy and France Zlatan Ibrahimovic may be about to even make a serious attempt to conquer England. According to the Spanish newspaper El Mundo Deportivo José Mourinho wants to bring Zlatan Ibrahimovic to Stamford Bridge when he is ready for his second spell in Chelsea. Ibrahimovic has for weeks said he did not rule out a move away from Paris Saint-Germain, now that Carlo Ancelotti looks set to leave the club. The fact that Zlatan would be in Italy again, is not very likely since the Italians can not afford to recruit Zlatan Ibrahimovic. El Mundo Deportivo says that Mourinho will take over Chelsea in the summer and, among other things, will allow Torres to leave the club despite the Spaniard made his best season so far in London. Torres has also almost exactly the same salary as Zlatan Ibrahimoc so it would be a simple affair. The few clubs that can afford Zlatan Ibrahimovic are Chelsea, Manchester City and Real Madrid. In addition to PSG then. 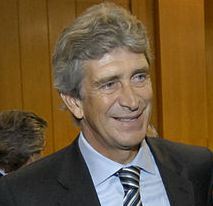 Manchester City is not very likely since neither Zlatan Ibrahimovic or Helena Seger would like to live in Manchester. Real Madrid would be great for Zlatan and Helena Seger and where he would be driven by defeating Barcelona. However, the probability when Perez and other leaders in the Real must be aware that one must be number one by Zlatan Ibrahimovic and Ronaldo. It would be set for trouble. London would be a perfect city for both Zlatan Ibrahimovic, Helena Seger and their family to live in. Besides Ibrahimovic there have also been rumors about Edin Dzeko, Stevan Jovetic, Sami Khedira and Wesley Sneijder as potential signings to Chelsea this summer. This entry was posted in Transfer Rumors and tagged Carlo Ancelotti, chelsea, Edin Dzeko, Helena Seger, Jose Mourinho, manchester city, Real Madrid, Sami Khedira, Stamford Bridge, Stevan Jovetic, Torres, Wesley Sneijder on June 7, 2013 by Johan Bengtsson. Zlatan Ibrahimovic has recently been in some rumors about a possible move to Manchester City. These rumors have now started to appear again since Zlatan refused to rule out a possible move to Manchester City. According to the rumors Zlatan Ibrahimovic and his wife Helena Seger are starting to get frustrated with the life in Paris and are looking for a possibility to move in this summers transfer window. This would be after only 12 months in the French capitol. According to the rumors we have get hold of these last few days it is said that Manchester City would be able to offer £25million to PSG to let Zlatan Ibrahimovic go. Zlatan Ibrahimovic has not rules out a possible move to Manchester City and said this when asked about the latest Manchester City rumors. – There is a lot going on at the moment – Zlatan Ibrahimovic said when asked about all the latest rumors. – I’m content at the moment, but I’ve often said I was happy somewhere and then moved away. I’m not promising that I won’t be leaving PSG. Manchester City has been looking to find another top striker to add to their team and Zlatan Ibrahimovic is one of their big names they are looking at. 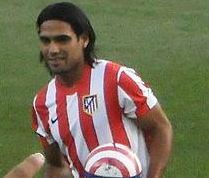 Other possible candidates for a move to Manchester this summer are Edinson Cavani and Radamel Falcao but Manchester City have not been able to secure their interest so far. Paris Saint-Germain has already stated several times in media that they are not willing to sell their star striker and are currently looking at the possibility to sign Manchester United’s Wayne Rooney. 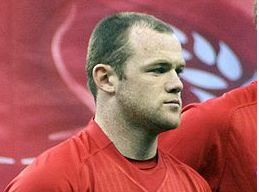 Rooney would then form a world-class forward pair together with Zlatan Ibrahimovic. Other clubs that recently have been rumored to be looking for Zlatan Ibrahimovic’s signature is Juventus, Real Madrid and Chelsea but currently the most likely is that Zlatan Ibrahimovic would stay in PSG and continue the work that is ongoing there. Zlatan Ibrahimovic has scored a total of 28 goals in 32 matches in the French league and was the major contributor for Paris Saint-Germain to win the Ligue 1 title this year. This entry was posted in Interviews, Transfer Rumors and tagged chelsea, edinson cavani, Helena Seger, Juventus, manchester city, Manchester City move, move to Manchester City, PSG, Radamel Falcao, Real Madrid, Wayne Rooney on May 26, 2013 by Johan Bengtsson.